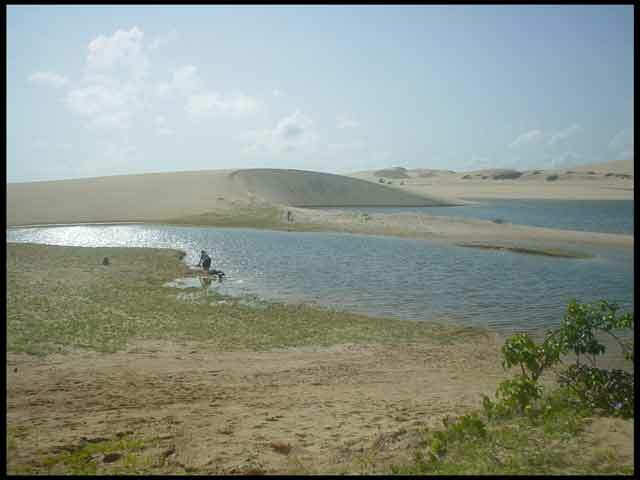 Day 1 : From Fortaleza to Munda�: off-road by the beaches. By the morning we leave Fortaleza heading west, to the famous beach of Cumbuco. 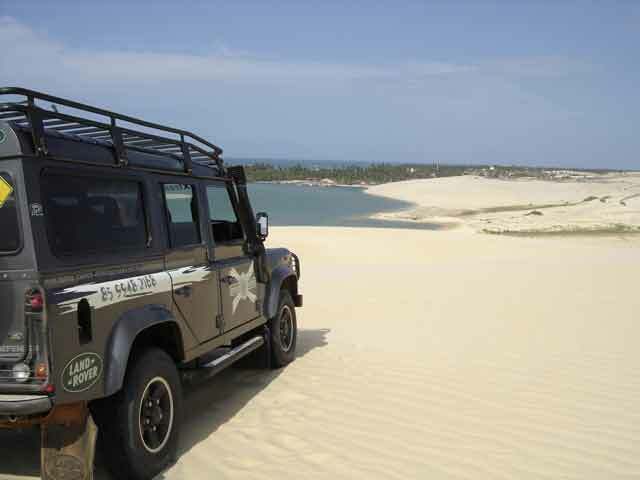 Following sand tracks through palm trees and dunes, we visit the lagoons (Banana and Cauipe), then by the beach we get to the new port of Ceara, the third in exports from Brasil, the port of Pecem. Then Taiba and Paracuru. Here we must get a sidetrack over the inland to get across the Curu river and then, Lagoinha. One of the most famous portraits of the state. Here we can stop for some caipirinhas, shrimps....and enjoy the sun. As the night comes, we go to our pousada right by the sea where we can relax and get a very sleep with the sound of the sea. After the breakfast almost on the beach, we use this morning to get closer to the natives. A walk by the village to get a closer look on how the women use their skills to mantain their traditions and also men�s hard work to keep fishing with so fragile sailboats. This peculiar and at the same time simple way of life will certainly touch you somehow. After lunch we return to Fortaleza on asphalt road. Distance about 150 kms.